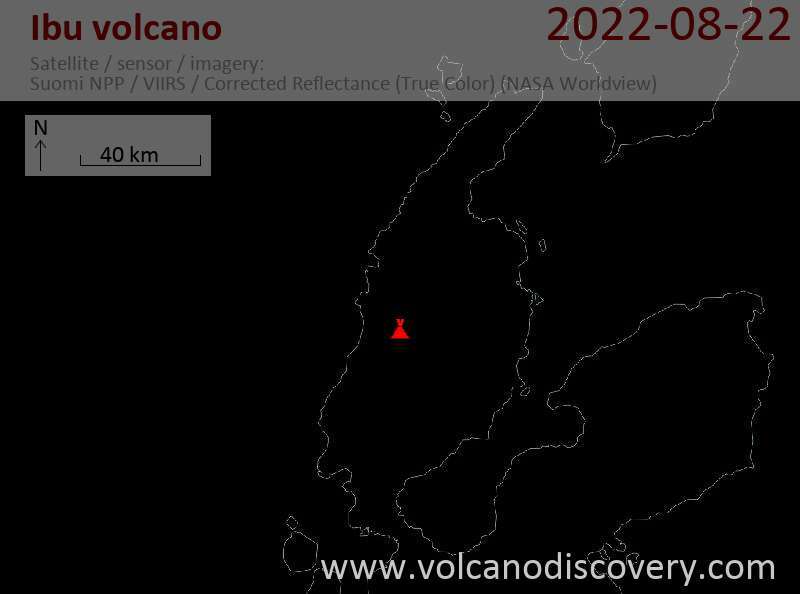 Ibu volcano Volcanic Ash Advisory: ERUPTION REPORTED TO FL060 MOV N AT 28/2112Z. Ibu volcano Volcanic Ash Advisory: ERUPTION REPORTED TO FL060 MOV TO N AT 15/0116Z. 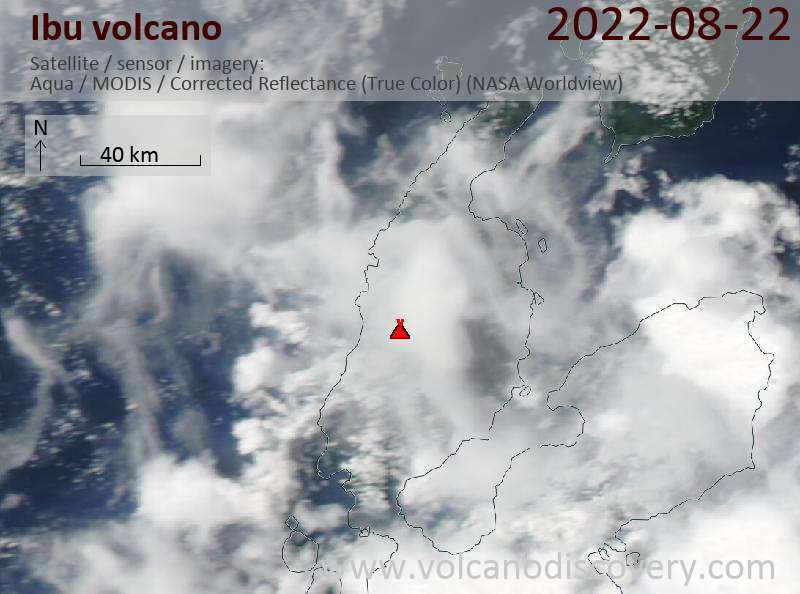 Ibu volcano Volcanic Ash Advisory: ERUPTION REPORTED TO FL050 MOV N AT 08/2359Z. Ibu volcano Volcanic Ash Advisory: VA TO FL050 AT 31/2259Z MOV N.
Ibu volcano Volcanic Ash Advisory: ERUPTION REPORTED TO FL050 AT 20/0312Z. Ibu volcano Volcanic Ash Advisory: VA OBS TO FL060 EXT 30NM TO NE AT 18/2300Z. Ibu volcano Volcanic Ash Advisory: VONA REPORTING VA TO FL050 AT 16/0138Z. Ibu volcano Volcanic Ash Advisory: ERUPTION TO FL060 AT 10/2252Z MOV SW.
Ibu volcano Volcanic Ash Advisory: ERUPTION TO FL060 MOV N AT 26/2158Z. Ibu volcano Volcanic Ash Advisory: ERUPTION TO FL050 MOV NE AT 26/0017Z. Ibu volcano Volcanic Ash Advisory: VA TO FL060 AT 08/0910Z MOV N.
Ibu volcano Volcanic Ash Advisory: ERUPTION REPORTED TO FL060 AT 04/0013Z MOV S.
Ibu volcano Volcanic Ash Advisory: VA ERUPTION TO FL060 REPORTED AT 02/2257Z MOV S.